Maddie's Fund® has given the Richmond SPCA (RSPCA) and Richmond Animal Care & Control (RAC&C) a $230,200 Maddie's® Lifesaving Award* for achieving and maintaining an adoption guarantee for healthy shelter dogs and cats in the city of Richmond, Virginia. Richmond is only the fourth community nationwide to receive the prestigious Maddie's® Lifesaving Award. The two agencies formed a working partnership in 2002 to provide a safety net of care for Richmond's homeless pets. They achieved a community-wide adoption guarantee for healthy shelter dogs and cats in 2006 and have maintained it ever since. Total intake for the coalition in 2007 was 7,050 dogs and cats; the annual live release rate community-wide was 76.5%. Each organization will share in the grant according to their 2007 adoption performance: $160,350 will go to the Richmond SPCA; $69,850 to Richmond Animal Care & Control. "Maddie's Fund has long admired the Richmond SPCA," said President Rich Avanzino. 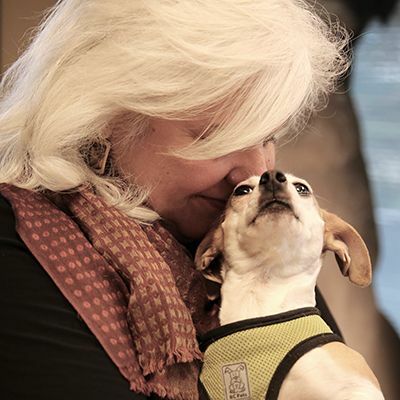 "We have watched the organization create some of the most innovative and effective pet retention, adoption, customer service and marketing programs of any animal shelter in the nation. These outstanding programs have allowed the RSPCA to quickly place animals in loving homes and take more stray pets out of Richmond Animal Care & Control. At the same time, RAC&C has maintained an excellent adoption program of its own. The relationship between the two agencies is an incredibly successful model we hope others will follow." *Maddie's Fund Lifesaving Awards acknowledge the outstanding contributions being made by communities that have implemented an adoption guarantee for all healthy shelter pets or have achieved no-kill status (an adoption guarantee for healthy and treatable pets) in their target communities and are likely to sustain it in the future. Awards range from $200,000 to $3 million, depending upon the size of the community.